Iran is dotted with many beautiful castles of varying shapes, sizes and functions – from romantic fantasy palaces to imposing military forts and picturesque manor houses. Ancient castles are sprinkled across Iran’s lush, green countryside in various states of ruin. The amazing artifacts, antiquities, and artworks can be found in Babak and Falak ol aflak Castles. Falak-ol-Aflak Castle situated on the top of a large hill with the same name within the city of Khorramabad, the regional capital of Lorestan province, Iran. 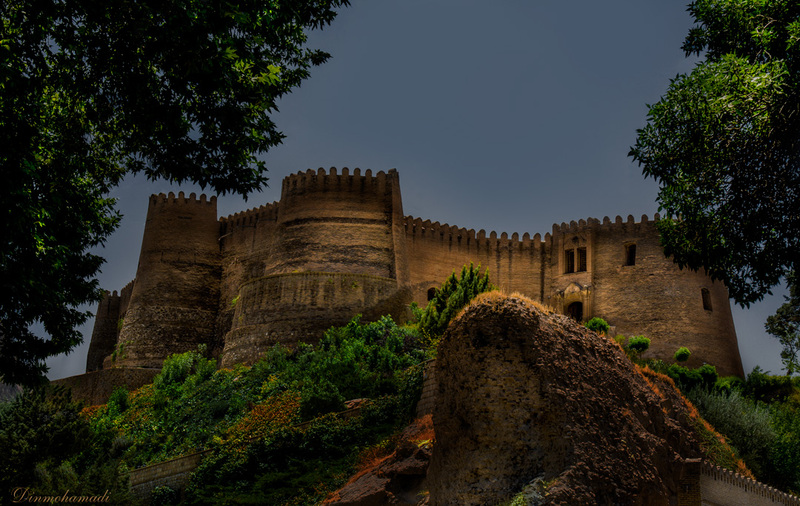 This gigantic structure was built during the Sassanid era, while some of the archeologists believe that the castle’s structures date as far back as the Atabakan dynasty. The castle itself covers an area of 5,300 square meters and the height of the entire structure, including the hill, reaches to 40 meters above the surrounding area. It is 2,860 meters in perimeter and its tallest wall is 22.5 meters high. This space is divided into four large halls, and their associated rooms and corridors. Originally the castle used to have 12 towers, but only 8 remain standing today. The water well of the fortress lies in the area behind the first courtyard. Reaching a depth of 40 meters, the majority of the well's shaft is carved into the rock in order to reach the source of the spring. The castle is managed by the Iran Cultural Heritage Organization as a protected site. At present, Falak-ol-Aflak is on the Tentative List of UNESCO's World Heritage sites as an example of Persian Architecture. The castle’s simple beauty makes it one of the most visited castles in Iran .Remember to add this magnificent monument in your bucket list while exploring west of fascinating Iran.